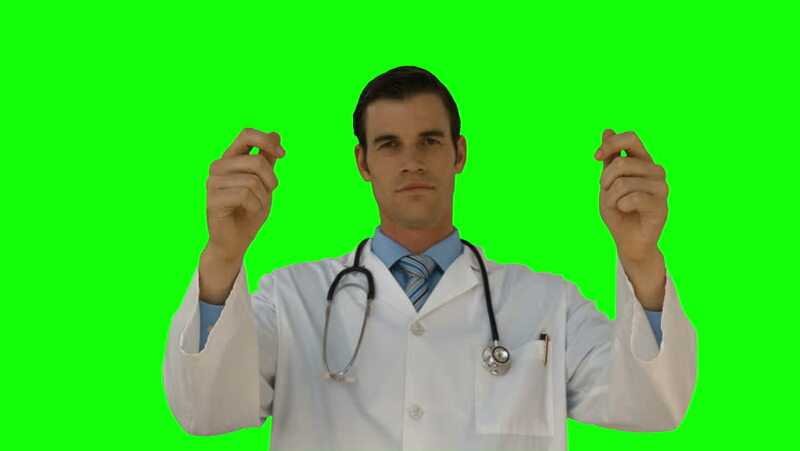 hd00:30Young Doctor Phone Touchscreen Greenscreen 6 Footage was shot against green screen and keyed out. The bg is pure green, removing it is easy. Green spills are removed.